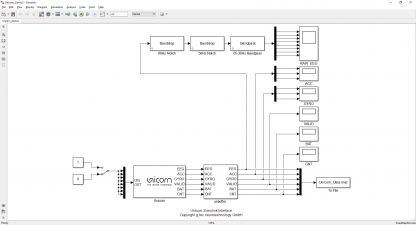 The Unicorn Simulink Interface is a library enabling the communication with the wearable Unicorn Hybrid Black from MATLAB Simulink applications. 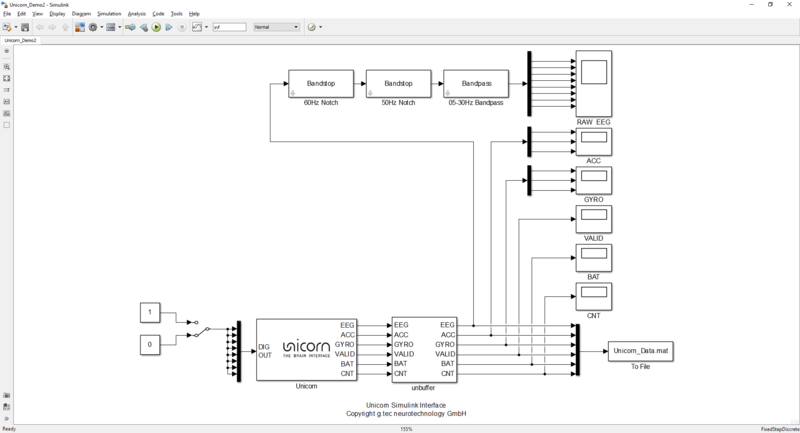 The Unicorn Simulink Interface allows you to read recorded data into Simulink and to perform real-time processing. The raw binary data stream is converted into physical values such that the user receives data ready to analyze. It requires MATLAB and Simulink 2017a with the Signal Processing Toolbox.